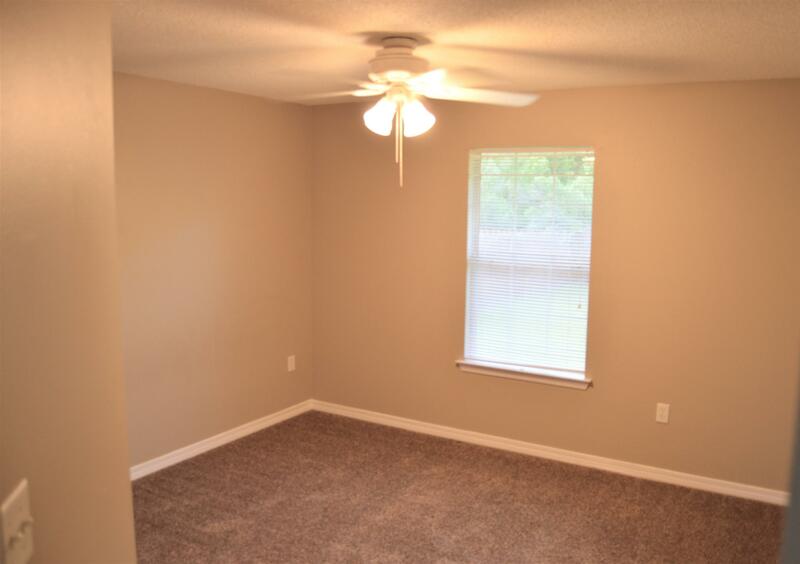 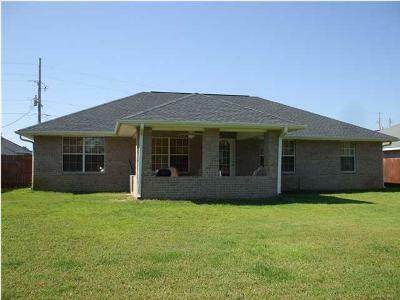 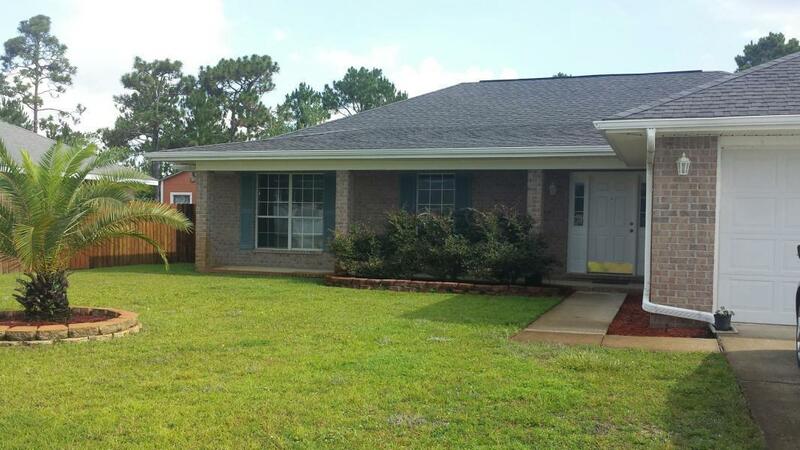 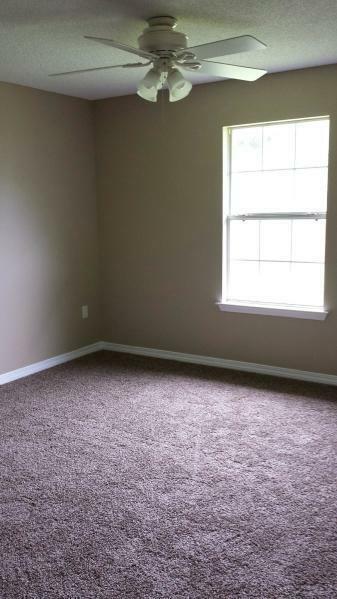 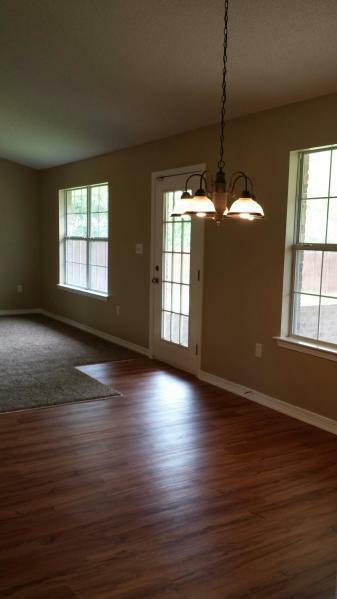 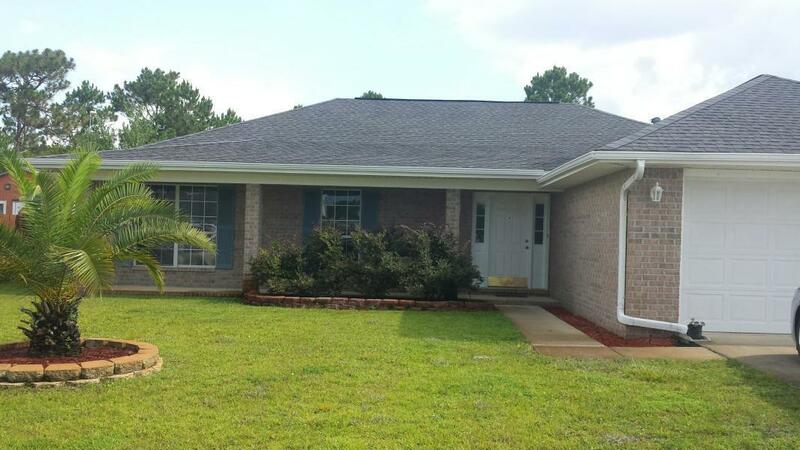 Spacious 4 bedroom, 2 bath home available in one of the few neighborhoods that have sidewalks.This home has an open floor plan with vaulted ceilings, plant ledges, sidelights at entry way, coat closet, Freiz carpeting, wood laminate flooring and split bedrooms perfect for added privacy. 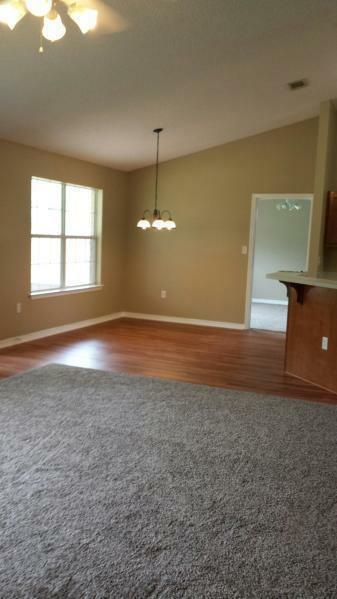 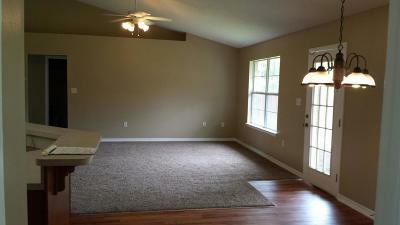 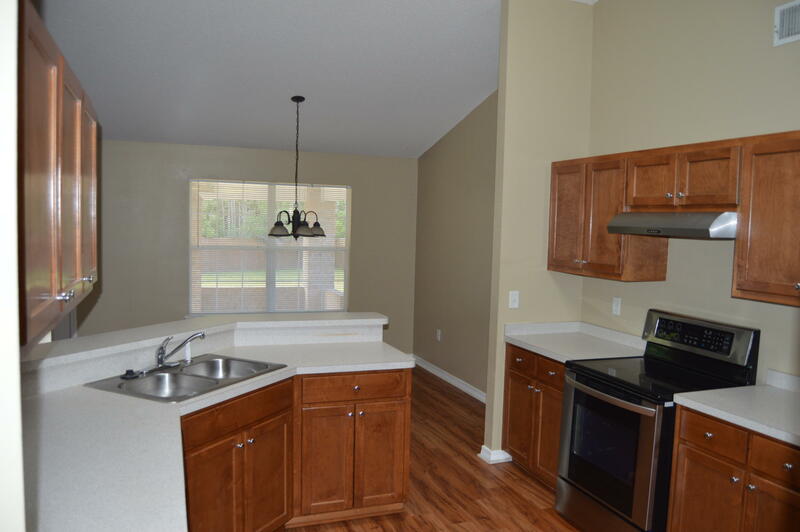 Kitchen has nice wood cabinets, Stainless Steel appliances, a pantry, and a breakfast bar. 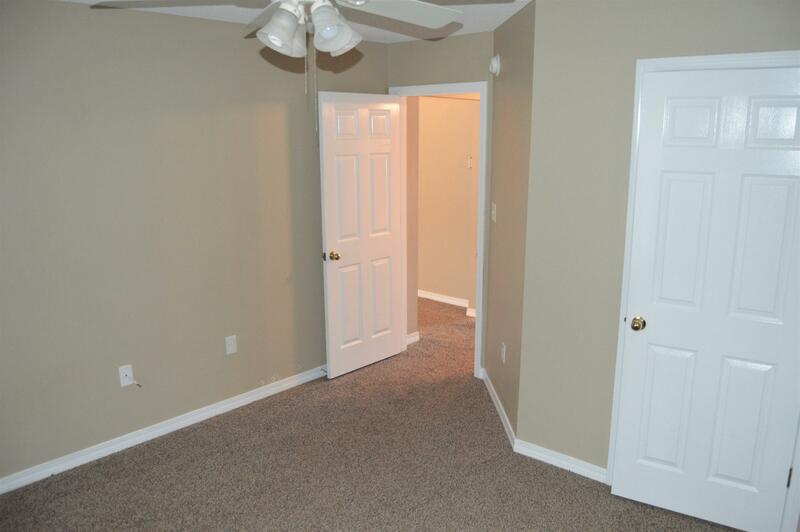 Master bedroom and bath will accommodate all your needs with dual vanities, walk-in closets, garden tub, and extra large separate shower. 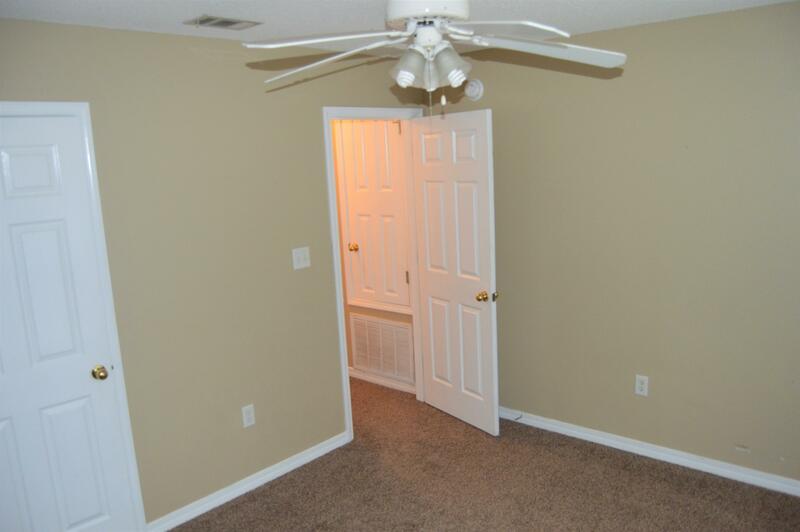 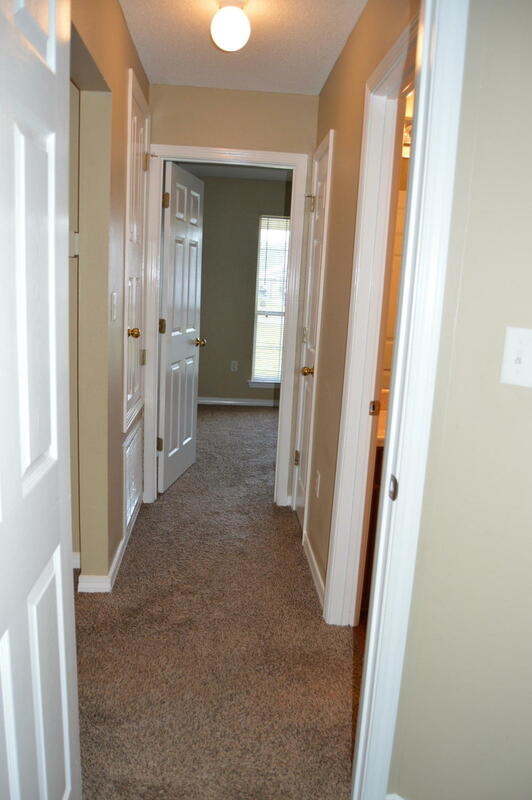 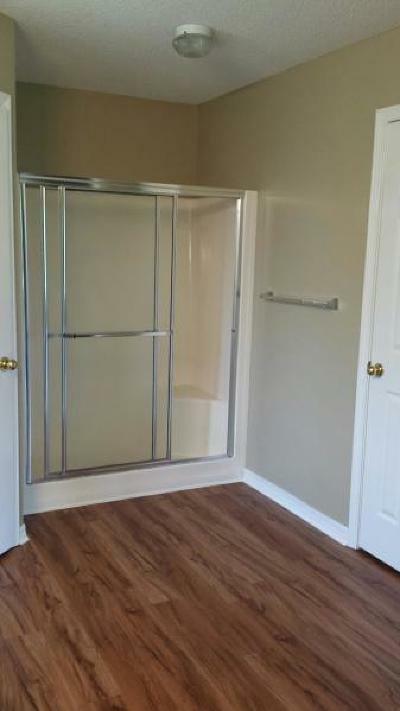 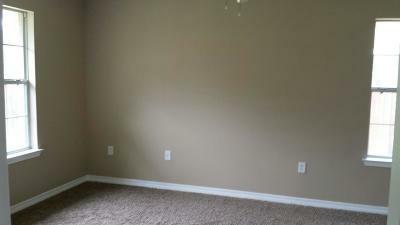 Extra storage in this home with the linen closets and pull down stairs to the attic. 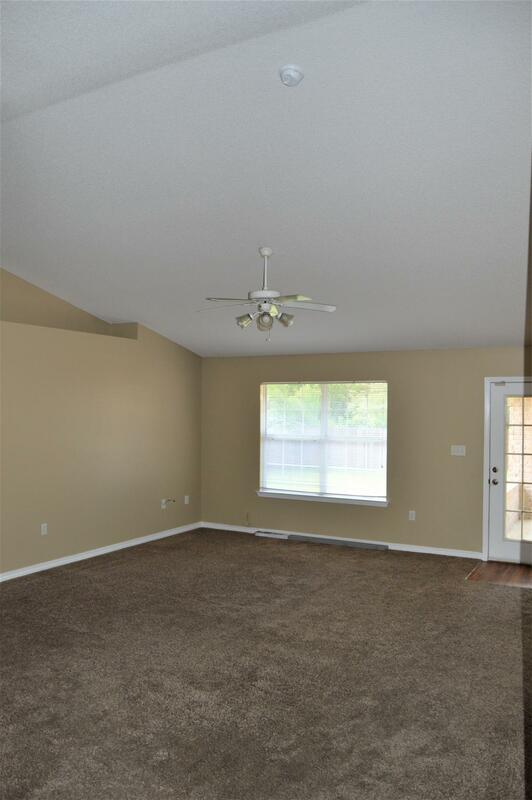 This home is perfect for entertaining with the covered patio that overlooks the large lot that backs up to a wooded green belt behind property. 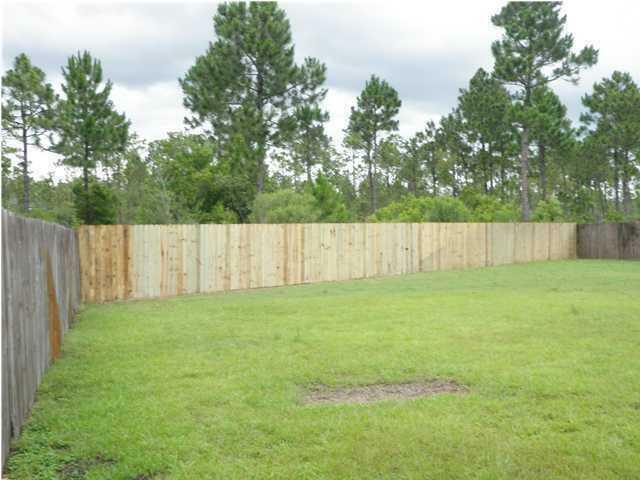 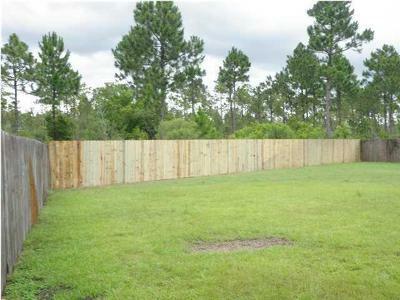 There is a privacy fence with a gate on each side.